The Army Times is reporting the deaths of three U.S. soldiers in an indirect fire attack/rocket attack on a base in an undisclosed location in southern Afghanistan on Wednesday, June 29th. NATO is reporting the death of an ISAF soldier from an IED attack in an undisclosed location in southern Afghanistan on Thursday, June 30th. NATO is reporting the death of another ISAF soldier from an IED attack in an undisclosed location in southern Afghanistan on Thursday, June 30th. #1: Security sources announced today that unknown gunmen killed a director general with the Ministry of Planning in Sadr City. "Unknown gunmen assassinated Jamal Faisal Al-Lami, DG at the Ministry of Planning, and fled to an unknown location," the source told Aswat al-Iraq. #2: An Iraqi soldier has been killed and four others injured in an explosive charge blast against an Army patrol in western Baghdad late Wednesday night, a security source said on Thursday. “A soldier has been killed and 4 others injured when an explosive charge, planted on the roadside, blew off against any Army patrol in Zanbaraniya village, west of Baghdad,” the security source told Aswat al-Iraq news agency. #3: An employee in Iraq’s Ministry of Sciences & Technology has been killed and his son injured in a sticking bomb blast in his car late Wednesday night, a security source reported. “Jassim Mohammed Saleh, an employee in Iraq’s Ministry of Sciences & Technology, was killed and his son was injured in an explosive charge blast under his personal car after mid Wednesday night in Jisr Diala area in southeastern Baghdad,” the security source said. #4: A group of unknown armed men have failed to assassinate a colonel in Iraq’s Interior Ministry and a lt-Brigadier in the Baghdad Traffic Police late on Wednesday, a security source reported on Thursday. “Interior Ministry’s Colonel, Mohammed Abdul-Reza, has escaped an assassination attempt, but was injured in an abortive attempt on east Baghdad’s Ur district, late on Wednesday night,” the security source told Aswat al-Iraq news agency. The security source said that another attempt to assassinate Traffic Police Lt-Brigadier, Abdul-Majid Abdul-Hussein, when they attacked him in west Baghdad’s Police Tunnel, also on Wednesday night. #5: Gunmen using silenced weapons seriously wounded Defence Ministry Lieutenant Colonel Mohammed Abdul Ridha in Baghdad's northeastern Ur district, an Interior Ministry source said. #1: A railway driver and his assistant have been injured in an explosive charge that blew up insider a luggage train on its way from Baghdad towards Salahal-Din Province, whilst a soldier was injured in an attack against an Army patrol after the train attack, a Railway Station Master reported on Thursday. “Three explosive charges blew off inside a luggage train on its way from Baghdad to Salahal-Din Province in Dujeil area on Thursday, causing its overturn, seriously wounding its driver and his assistant,” Mowafaq Bedawi told Aswat al-Iraq news agency. He said that a fourth explosive charge blew off in the same area, after the arrival of an Army patrol to investigate the incident, wounding one of its soldiers. #1: A soldier was hit by a bomb blast west of Mosul city, security sources disclosed today. The source told Aswat al-Iraq that the bomb was directed against a military patrol in Nahrawan area , west of Mosul city, which led to the wounding of one soldier. #1: Anbar police sources announced today that a police lieutenant was killed today and a cop injured by a sticky bomb in his car in the center of Garma area, east of Falluja. #1: Pakistani troops backed by jets and helicopter gunships have killed 40 militants in a restive tribal area bordering Afghanistan in the past three days, a military commander said Thursday. Brigadier Aftab Ahmad told AFP by telephone that his forces had destroyed 17 militant hideouts in the Baizai region under his command in the lawless tribal area of Mohmand. “Militants were regularly attacking our posts on the Afghanistan border at Shonkari and Mithai and also targeting goods vehicles going to Afghanistan,” he said. #2: Five people including two policemen were injured when a mine went off Thursday morning in Kunduz city, provincial capital of Kunduz province, 250 km north of capital city of Kabul, a police official said. "A mine placed inside a garbage heap was detonated by a remote- control device in a street at the eastern part of Kunduz city at around 7:15 a.m. local time when a police vehicle was passing-by. As a result three civilians and two policemen were injured," provincial police spokesman, Sayed Sarwar Hossanin told Xinhua. #3: At least four persons were killed and five others injured when a container truck carrying Nato goods to Afghanistan ran over three vehicles at Ali Masjid on Peshawar-Torkham Road in Khyber Agency on Wednesday. Sources said that the driver of a taxicab, Faqirullah, and three passengers, two of them real brothers, were killed on the spot while five other persons sustained injuries when a container ran over three vehicles while negotiating a narrow turn at Ali Masjid. #4: Meanwhile, an oil dealer Yar Bacha escaped an attempt on his life when an explosive device planted by unidentified persons outside his house in Kandukhel exploded minutes before he left his residence. Family sources said that Mr Bacha had been receiving threats from a local militant group for his alleged involvement in supply of fuel to Nato forces in Afghanistan. #5: Six civilians were killed on Thursday morning when their car hit a roadside bomb in Marja district of southern Helmand province, a statement issued by local government said. NATO is reporting the death of an ISAF soldier from an insurgent attack in an undisclosed location in southern Afghanistan on Tuesday, June 28th. NATO is reporting the death of another ISAF soldier from an insurgent attack in an undisclosed location in southern Afghanistan on Tuesday, June 28th. #1: A roadside bomb struck a police patrol near al-Rasheed vegetable wholesale market in Baghdad's southern district of Doura, killing a civilian and wounding seven people, including four policemen, the source told Xinhua on condition of anonymity. #2: In a separate incident, another roadside bomb ripped through Doura district wounding two civilians and damaging several nearby buildings and civilian vehicles, the source said. #1: The directorate of Hajj Omran border District in Arbil announced that Iranian shelling resumed on Tuesday targeting the District border region. No casualties were reported, the directorate said. Iranian raids on sites inside the Iraqi territory specifically in Arbil in borders regions with Iran have been going on since a week now under the pretext of targeting opposition members. Violent armed clashes erupted on Monday night between Iranian Forces and PJAK members related to Kurdistan Workers Party (PKK) in regions close to Iraqi Wiza village, 4 kilometers away from the Iranian borders, eye witnesses said. Clashes erupted when Iranian Army vehicles opened roads inside the Iraqi territory. Armed clashes erupted as well on Sunday night between Iranian Forces and PJAK members inside the Iraqi borders near the Iraqi Wiza village, in Joman District, Arbil, eye witnesses reported. 12 Iranian soldiers and PKK members were killed in clashes. #1: The former Minister of Reconstruction and Housing was hurt today in an armed attack against her convoy, Kirkuk security forces said. The source told Aswat al-Iraq that "unknown armed group attacked ex-minister Bayan Di'za'i near Touzkhormato area , near Kirkuk, while traveling to Baghdad. #2: Police found the body of an unidentified man in his 30s who had been shot, south of Kirkuk, 250 km (155 miles) north of Baghdad, police said. #1: An Iraqi civilian has been injured in an explosive charge blast in eastern Mosul, a Ninewa security source reported on Wednesday. #1: NATO helicopters fired rockets before dawn Wednesday at Taliban gunmen who stormed one of Afghanistan's premier hotels, ending a brazen, nearly five-hour assault that left 19 people dead - including all eight attackers. The strike against the Inter-Continental was one of the biggest and most complex to have occurred within Kabul. Militants who had managed to penetrate the hotel's security measures began the attack around 10 p.m. Tuesday, on the eve of a conference about the transfer of security responsibilities. After hours of fighting, two NATO helicopters opened fire at about 3 a.m. on the roof of the five-story hotel where militants had taken up positions. U.S. Army Maj. Jason Waggoner, a spokesman for the U.S.-led coalition fighting in Afghanistan, said the helicopters killed three gunmen and Afghan security forces clearing the hotel worked their way up to the roof and engaged the insurgents. Latifullah Mashal, the spokesman of the Afghan National Directorate for Security, said eight suicide attackers were involved and all had either blown themselves up or been killed by Afghan or coalition forces. The 11 civilians killed included a judge from an unnamed province, five hotel workers and three Afghan policemen, Mashal said. He said no foreigners were killed, but two foreigners were among 14 people wounded in the attack. He did not disclose their nationalities. One of the dead was a Spanish civilian pilot. Two New Zealand soldiers have been injured in the raid by suicide bombers and Taliban insurgents on a hotel in Kabul, Afghanistan. The two Kiwis were part of the New Zealand special operations forces, and sustained moderate injuries when the Intercontinental Hotel was raided. #3: Meanwhile, an oil tanker, supplying fuel to the NATO forces in Afghanistan, caught fire after explosion in Azakhel area of district Nowshera late Monday night, police said. As per details, driver and cleaner of the tanker allegedly stole fuel from the vehicle and detonated it with locally manufactured explosives. Both the accused, taking advantage of darkness of the night, managed to flee from the scene. #4: Insurgents have suffered heavy casualties in a hard-fought battle with U.S. and Afghan forces in the rugged mountain terrain and Taliban stronghold of eastern Afghanistan’s Kunar province, military officials said Tuesday. Up to 100 insurgents were killed during the multiday operation in the northern part of the Watahpur District of Kunar, where gunmen from Afghanistan and neighboring Pakistan are battling hundreds of American troops and their Afghan military counterparts. About 30 U.S. soldiers have been wounded in the fight. Agha said the Afghan soldiers were doing well in the difficult terrain. They too experienced a number of casualties over the past few days, but he did not provide exact figures. #5: An anti-personnel mine planted by insurgents killed two Afghan women and wounded a child in the Panjwai district of southern Helmand province, the Interior Ministry said in a statement. #6: An International Security Assistance Force remotely piloted aircraft crashed in eastern Afghanistan today. The crash site is secure and the aircraft is being recovered. The cause of the crash is under investigation, but initial reports indicate there was no insurgent activity in the area at the time. NATO is reporting the death of an ISAF soldier from an IED blast in an undisclosed location in southern Afghanistan on Monday, June 27th. #1: The Mayor of northeast Iraq’s Baaquba city, Abdullah al-Hayali and one of his bodyguards have been injured in an improvised explosive device (IED) blast in his car, while on his way for work, a security source said on Tuesday. “The Mayor of Baaquba, Abdullah al-Hayali and one of his bodyguards have been injured when an IED blew off under his car that was passing through central Baaquba, on his way for work,” the security source told Aswat al-Iraq news agency. #1: An element of the pro-government Sahwa (Awakening) Forces has been killed and a civilian was injured in an explosive charge blast close to his house in northwest Baghdad’s Abu-Ghuraib district on Tuesday, a security source reported. “A Sahwa (Awakening) Forces element has been killed in an explosive charge blast close to his house in Abu-Ghuraib district, northwest of Baghdad,” the security source told Aswat al-Iraq news agency. #1: Unidentified militants torched two NATO containers in Mastung, some 40 kilometres away from provincial capital on Monday. According to a local levies official, an oil tanker carrying fuel for NATO forces stationed in Afghanistan was going to Kandahar from Karachi when unidentified armed men ridding a motorbike opened fire on it in Dasht area of Mastung. Resultantly, the driver was critically injured and assailants set the oil tanker on fire. Unknown armed men set ablaze two more Nato oil tankers and injured one driver on Monday in separate incidents in Mastung district, Balochistan. According to the police, Afghanistan-bound oil tanker carrying fuel for Nato forces was on way from Karachi when armed men intercepted and opened fire on it at Ghanja Dhori outskirts of Mastung. Meanwhile, another Nato oil tanker was also on its way when armed men riding motorcycle intercepted and sprayed bullets on it at Dasht area some 25-km from Quetta.As a result, both oil tankers caught fire while one of driver sustained bullets injuries.The injured was rushed to the hospital for medical aid. #2: Missile strikes from two US drones killed at least 21 suspected militants in Pakistan's South Waziristan on Monday, Pakistani officials said, part of an intensified US assault in the tribal belt this month. In the first strike, a missile hit a moving vehicle in Ghalmandi Panga village on the Afghan border, killing eight militants. A few hours later, another drone fired three missiles into a militant training center in Mantoi town, about 30 km north of South Waziristan's main town of Wana. #3: Gunmen yesterday killed a senior Pakistani Taliban commander who helped train and deploy the group’s suicide bombers. Shakirullah Shakir was riding on a motorcycle near Miran Shah, the main town in the North Waziristan tribal area, when gunmen riding in a car with tinted windows shot him, the officials said. #4: A combined Afghan and coalition security force captured a leader of the Islamic Movement of Uzbekistan and two other militants during a nighttime operation in Kunduz district of Kunduz province. #5: At least five insurgents were killed during a combined Afghan and coalition security operation in Khash Rod district of Nimroz province targeting a mid-level Taliban leader, the coalition said in a statement. DoD: Gunnery Sgt. Ralph E. Pate Jr.
Channel 6 News is reporting the deaths of two U.S. soldiers while conducting operations in an undisclosed location in northern Iraq on Sunday, June 26th. The DoD is reporting the death of Spc. Nicholas C. D. Hensley at Landstuhl, Germany on Friday, June 24th. He was wounded from an IED blast in Kandahar, Afghanistan on Wednesday, June 15th. The DND/CF is reporting the death of a Canadian ISAF soldier from non-combat related wounds at a coalition forward operating base in Kandahar City on Saturday, June 25th. NATO is reporting the death of an ISAF soldier from an insurgent attack in an undisclosed location in eastern Afghanistan on Saturday, June 25th. NATO is reporting the death of an ISAF soldier from an insurgent attack in an undisclosed location in southern Afghanistan on Saturday, June 25th. NATO is reporting the death of an ISAF soldier from an IED attack in an undisclosed location in southern Afghanistan on Sunday, June 26th. The Spanish MoD is reporting the deaths of two Spanish ISAF soldiers from an IED blast in Qala-i-Naw, Badghis Province, Afghanistan on Sunday, June 26th.Three additional soldiers were wounded in the attack. Here's the ISAF release. NATO is reporting the death of an ISAF soldier from an insurgent attack in an undisclosed location in eastern Afghanistan on Sunday, June 26th. NATO is reporting the death of an ISAF soldier from an insurgent attack in an undisclosed location in southern Afghanistan on Sunday, June 26th. #1: Katusha rocket fell close to southern Iraq’s Basra refinery on Sunday afternoon, whilst police forces managed to uncover two other rockets, ready for launching towards the same target, in an agricultural area south of Basra’s Zubair township, a security source reported on Monday. “South Iraq’s Refinery in Shueiba township, 25 km to the south of Basra, was attacked by a Katusha rocket, causing no human or material losses,” the security source told Aswat al-Iraq news agency. #2: Three sanitation workers have been killed and three policemen injured in a booby-trapped car explosion in eastern Mosul on Monday, a Ninewa security source reported. “A booby-trapped car, parked on the road in eastern Mosul, blew up on Monday, targeting a police patrol, killing 3 cleaning workers and wounding 3 of the patrol’s policemen,” the security source told Aswat al-Iraq news agency. #1: Afghanistan says the Pakistani military is behind recent deadly rocket attacks, but Islamabad says it is not responsible. Aminulllah Amarkhil, Afghan chief of eastern border police, said Monday that Pakistani military forces fired 35 pieces of artillery in Kunar province Sunday that, primary reports indicate, killed 20 civilians. Amarkhil said the rocket attacks began at 4 p.m. and last until midnight. Pakistani forces have been firing rockets on five districts of Kunar province, causing villagers to leave their homes, the police official said. #2-3: One bomb planted by the side of a road in Ghazni province, southeast Afghanistan, hit a minibus early on Monday morning, the interior ministry said. 'Four innocent civilians, including two children, were martyred in the blast,' said the ministry. A second bomb struck a car in a separate area of the same province, killing three, it added. #4: Thirty-two Taliban fighters have been killed and 25 wounded in the last 24 hours, during an operation in the western Afghanistan province of Badghi, the Afghan army said Sunday. “The operation was intensified last night and since then there are over 57 Taliban fighters killed, wounded and captured,” army commander General Shahzada — who goes by one name — said. “Unfortunately, four Afghan army soldiers have been killed and three others wounded during the operation since last night”. Update: U.S. military announces two U.S. service members killed today "conducting operations in northern Iraq." Now further information at this time. Two police officers killed and 18 people injured in suicide bomb attack on a police station. Note: This article says 18 injured at one point, and 10 injured at another. It says 3 killed but then specifies only the two officers, perhaps including the attacker in the 3 deaths. AFP says two civilians (not police) killed and 17 people injured, but at another point in the same story says 9 people killed. Go figure. Parked car explodes as a police patrol passes, killing 1 policeman and 5 civilians, and injuring 4 police on Saturday. Two civilians are killed and 5 injured in a bomb attack on the Mayor's convoy. The nine year old son of a dentist is kidnapped by armed men, the latest in a series of kidnappings targeting the families of doctors and other well-off people. (It appears unclear whether there is a political motive for these crimes, but they occur in the context of ongoing ethnic tensions and violence. Also (an afterthought in the VoI report), three rockets land in the U.S. air base near Kirkuk. No information so far on damage or casualties. An Iraqi "intelligence element" [sic] is killed by an explosion "in his car." Sticky bomb kills a police lieutenant colonel. Iraqi court announces that Hasna Ali Yahya, the Yemeni wife of Abu Ayyub Al Masri, has been sentenced to 20 years in prison for assisting Al Masri. Al Masri, described as a top leader of al Qaeda in Iraq, was killed in April 2010 by what was described as a joint U.S.-Iraqi task force. Fifteen months after an election that was supposed to lay the groundwork for Iraq's future, the government remains virtually paralyzed by a clash between the country's two most powerful politicians, who refuse to speak to each other. The paralysis is contributing to a rise in violence, and it is severely complicating negotiations on the most difficult and divisive question hanging over the country: Whether to ask the U.S. to keep a contingency force here after the scheduled withdrawal of American troops at the end of the year. 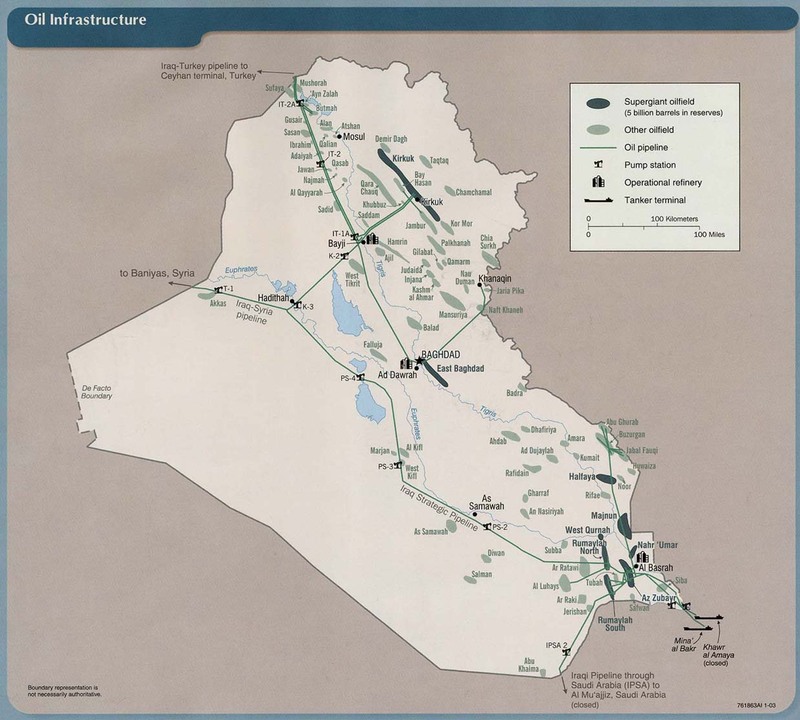 WaPo's Aaron C. Davis says Iraq has been straining its rickety oil production infrastructure to the limit in order to maximize output. He fears a major pipeline rupture and also doubts whether future production forecasts will be realized. An 8 year old girl is killed attempting to place a bomb near security forces in Charchino district, southern Afghanistan. The farmer picking apples in the outskirts of Kabul must pay the Taliban $33 to ship out each truckload of fruit. The governor sends in armed men to chase workers off job sites if the official bribes aren't paid. Poor neighborhoods never get their U.N.-provided wheat, long since sold on the black market. These are some of the elements, large and small, that together form the elaborate organized crime environment Afghans contend with daily. And despite the hoped-for success of the U.S. military surge and President Barack Obama's claims of significant progress, Afghanistan's resemblance to a mafia state that cannot serve its citizens may only be getting worse, according to an upcoming report by the International Crisis Group, a Brussels-based think tank. The official death toll now stands at 38 following yesterday's attack on a hospital in Azra, Logar Province. The Taliban continue to deny any involvement. Afghan officials are blaming the Haqqani network. Some say the hospital may not have been the intended target, as the bomb detonated when police tried to stop the bomber's car. "All sides stressed their commitment to efforts aimed at eliminating extremism, militancy, terrorism, as well as rejecting foreign interference, which is in blatant opposition to the spirit of Islam, the peaceful cultural traditions of the region and its peoples' interests," the statement said. "All sides agreed to continue meeting at foreign, interior, security and economy ministers' level to prepare a roadmap for the next summit due to be held in Islamabad before the end of 2011," the statement obtained by IRNA news agency said. In the beginning of the summit Afghan President Hamid Karzai said despite gains insurgency is on the rise in Afghanistan and in the region. "Unfortunately, despite all the achievements in the fields of education, infrastructure and reconstruction, not only Afghanistan has not yet achieved peace and security, but terrorism is expanding and threatening more than ever Afghanistan and the region," President Karzai said. Pakistani President Asif Ali Zardari said: "Terrorists violate both human and divine values by inflicting death and destruction on fellow human beings. They have no religion." NATO is reporting the death of an ISAF soldier from an insurgent attack in an undisclosed area in eastern Afghanistan on Saturday, June 25th. #1: In a separate incident, gunmen using pistols fitted with silencers shot dead a policeman in al-Liqaa Square in Baghdad's western district of Mansour, an interior ministry source told Xinhua on condition of anonymity. #2: In addition, a roadside bomb went off near a convoy of U.S. military vehicles in Baghdad's western district of Adil, the source said without giving further details as the U.S. troops immediately sealed off the scene. 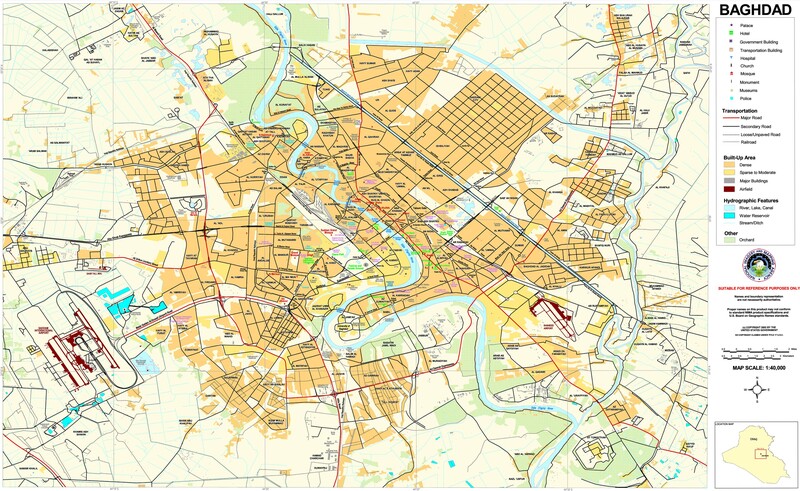 #1: In early Saturday, gunmen with their assault rifles broke into the house of Tahir Ahmed, deputy head of local town hall in Abu Ghraib area, some 20 km west of Baghdad, a local police source told Xinhua on condition of anonymity. The attacker shot dead Ahmed and his son before they fled the scene, the source said. #1: Gunmen raided the house of a policeman and killed him and his wife in central Baiji, 180 km (112 miles) northwest of Baghdad, police said. #1: An Iraqi civilian has been killed and three others injured in a sticking explosive charge blast east of western Iraq’s city of Falluja on Friday night, a security source reported. “An explosive charge blew off in Karma village, east of Falluja city in west Iraq’s Anbar Province on Friday night, killing a civilian and wounding three others, all from one family,” the security source told Aswat al-Iraq news agency. #2: An unknown armed group has blown off the house of an Iraqi Army officer, with a captain rank, south of Falluja city, in western Iraq’s Anbar Province on Saturday, a police source reported. #1: A sport utility vehicle packed with explosives blew up outside of a clinic in eastern Afghanistan on Saturday, killing at least 60 people and leveling the 10-bed medical center, Afghan authorities said. The massive blast in the mountainous Azra district of Logar province, some 25 miles (40 kilometers) east of Kabul, also wounded at least 120, the Afghan Health Ministry said. Dr. Mohammad Zaref Nayebkhail, the provincial health director, said the clinic guards tried to prevent the bomber from driving into the compound. "The driver didn't stop and he entered the compound and reached the main building of the health center, where the truck detonated," Nayebkhail said. The force of the blast caused the building housing the 10-bed clinic to collapse, trapping at least 15 people underneath the rubble. "Right now, local people are helping to dig out bodies or wounded people from the ruined buildings," he said. #2: One tank and two fuel tankers belonging to the US-led NATO forces in Afghanistan have been destroyed in a roadside bomb explosion in Wardak province. Afghan officials said NATO helicopters arrived at the site of the incident and probably took the bodies of the victims as well as the injured, a Press TV correspondent reported on Saturday. No report of casualties has so far been given. #3: In another incident late Friday, Taliban militants attacked a convoy of foreign forces on the road from the Afghan capital of Kabul to Nangarhar and destroyed two fuel tankers. An Afghan commander was killed in the assault. #4: Unknown armed men have blown up a key gas pipeline in Pakistan's southwestern conflict-riddled province of Baluchistan, halting gas flow to different parts of the region. On Friday, militants dynamited a 16-inch diameter gas pipeline in Pirkoh area Dera Bugti district, cutting the supplies to the provincial capital Quetta and five other districts, a Press TV correspondent reported. #5: At least 10 people, including a police officer, were killed when a bicycle rigged with explosives blew up in a bazaar in northern Afghanistan, authorities said today. The Afghan Interior Ministry said the blast struck the bazaar in the Khanabad district of Kunduz province late yesterday. The ministry said in a statement today that 24 other people were injured in the attack, including five women and a policeman. #6: Fifteen militants were killed and eight wounded in a clash between rival militant Islamist groups in Orakzai tribal region in the northwest, local officials said. #1-4: Four bombs ripped through Shi’ite neighborhoods in Baghdad yesterday evening, killing at least 40 people in the worst violence the capital has seen in months, Iraqi officials said. The officials said 34 people died and 82 others were injured in the three blasts. An official from Baghdad’s Yarmouk hospital confirmed the casualty figures. #1: The first three bombs went off in quick succession in a southwestern Baghdad neighborhood shortly after 7 p.m.
#4: while the third went off inside the market where people were doing evening shopping ahead of the Muslim weekend, Iraqi police officials said. #6: Three elements of a special security company have been injured in an explosive charge blast against their motorcade in eastern Baghdad’s Tabibiyia area on Thursday, a security source reported. “An explosive charge, planted in front of the Collage of Administration & Economy in eastern Baghdad’s Talibiya area, blew off when a special security company’s motorcade passed through the area, wounding 3 of its elements,” the security source told Aswat al-Iraq news agency. #7: A cop was killed today while leaving his official department west of Baghdad, security forces said today. The source told Aswat al-Iraq that the cop left his post, 20 km west of Baghdad, when an armed group shot him. "The cop died instantly, and killers fled the scene," the source added. #1: A cop and his wife were killed by an unknown armed group after they stormed their house in Tikrit. A source in Salah al-Din Police Operations informed Aswat al-Iraq that the attackers made their attempt early this morning and then fled. #1: A fire at Iraq's largest oil refinery was halted after a fire caused serious damage to the complex, sources within the company operating the refinery said Friday. Civil defence teams brought the fire under control four hours after it started, sending thick black smoke from the facility located in Beiji, some 200 kilometres north of Baghdad. The cause of the fire was being investigated, according to the sources. #1: An Iraqi officer and a soldier have been killed in an explosive charge blast against their patrol in Gayara township, 60 km to the south of northern Iraq’s city of Mosul, a security source reported on Thursday. “An officer, with a major rank and a soldier have been killed in an explosive charge blast against their patrol in Gayara township, 60 km to the south of Mosul,” the security source told Aswat al-Iraq news agency. #2: A civilian was assassinated today east of Mosul, security sources said today. The source told Aswat al-Iraq that the deceased owns a clothes shop. #1: A NATO-led International Security Assistance Force (ISAF) helicopter has crashed in Afghanistan's southern province of Zabul. "The landing site has been secured and all personnel are accounted for. There are no casualties reported," said an ISAF press release, adding that they are investigating the cause of the incident that took place on Thursday, Xinhua reported on Friday. NATO is reporting the death of an ISAF soldier from an insurgent attack in an undisclosed area in eastern Afghanistan on Wednesday, June 22nd. #1: An officer in Iraq’s former Army has been killed in southwestern Baghdad’s Saidiya district late Wednesday, a security source said on Thursday. “An explosive charge, stuck to the car of the former Iraqi Army Colonel, Mohammed Jassem, in Baghdad’s Saidiya district late on Wednesday, killing him on the spot,” the security source added. #2: Gunmen attacked an Iranian oil delegation visiting Iraq for talks, the Iranian oil ministry said. An Iraqi security source said the delegation's convoy was attacked in central Baghdad and two Iraqi guards were wounded. #1: A sticky bomb attached to a car exploded, killing a former member of Saddam Hussein's outlawed Baath party, in Baquba, 65 km (40 miles) northeast of Baghdad, police said. #2: A gunman on a bicycle, using a silenced weapon, killed the mayor of the Gatoon neighbourhood in Baquba, police said. #1: Six Iraqi civilians have been injured in a Katusha rocket attack on an American base west of southern Iraq’s Diwaniya city on Wednesday, due to missing their target, a Diwaniya security source reported. “Six Katusha rockets were launched on the U.S. Echo Base, 3 km to the west of Diwaniya, and one of the rockets missed its target, falling on al-Thawra street in the middle of the city, wounding 6 civilians and causing damage for a civilian car,” the security source told Aswat al-Iraq news agency. the losses of the American base, where 5 explosions were heard, were not known. #1: An explosive charge blew off in northwestern Baghdad’s Abu-Ghuraib district late on Wednesday, killing a civilian and wounding two others, a security source reported. “An explosive charge blew off in al-Haswa area in Abu-Ghuraib district, 20 km to the northwest of Baghdad, killing a civilian and wounding two others,” the security source told Aswat al-Iraq news agency. #1: Gunmen in a speeding car using silencer guns shot and wounded an employee of the Sunni Endowment, an organisation which manages Sunni religious sites, in Taji, 20 km (12 miles) north of Baghdad, an Interior Ministry source said. 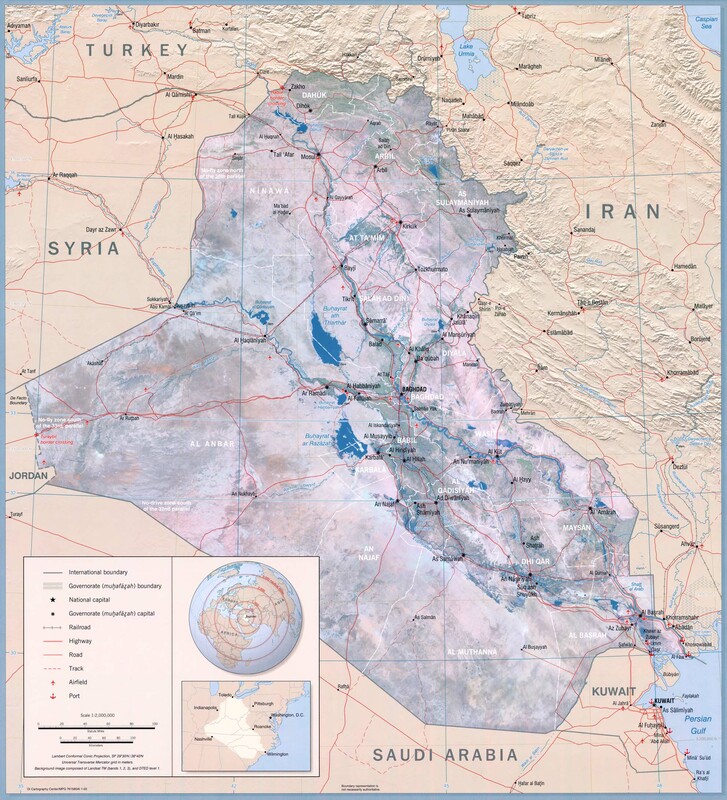 #1: Two persons, one of them a former candidate for the Iraqi Parliament, have been killed in an attack in Shirgat township of north-central Iraq’s Salah al-Din Province on Wednesday, a Salah al-Din security source reported. 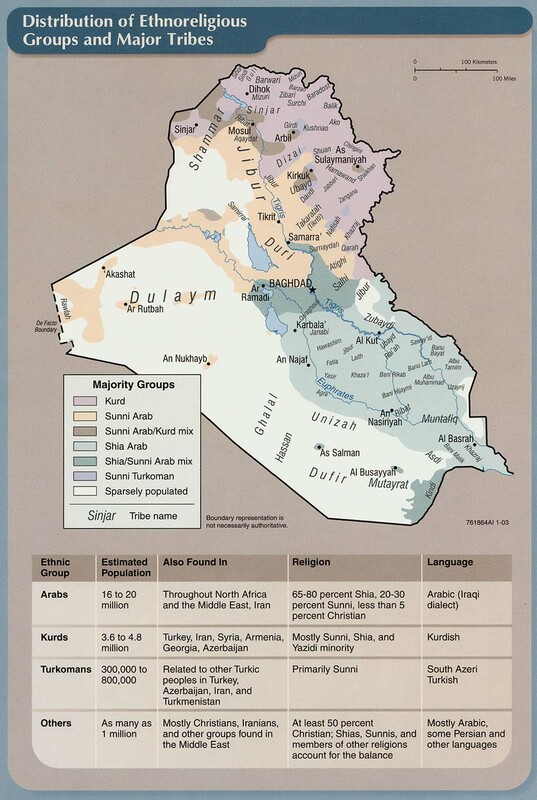 “The candidate from Iraq’s Unity Coalition, Jassem Mohammed and another person have been killed by unknown gunmen in Shirgat township, 100 km to the north of Tikrit,” the security source told Aswat al-Iraq news agency. #2: A sticky bomb attached to a minibus went off and wounded the driver in southern Kirkuk, 250 km (155 miles) north of Baghdad, police said. #1: An Iraqi civilian has been killed, a policeman and a child injured, in an explosive charge blast in central Mosul on Wednesday, a Ninewa security source said. “A civilian was killed, a child and a policeman were injured, in an explosive charge blast, targeted against a police patrol in central Mosul’s Khazraj district on Wednesday,” the security source told Aswat al-Iraq news agency. He said that the explosive charge blew off when the police patrol passed through the area, when the victim and the child were close to the venue of the blast, adding that both the injured child and the policeman, were driven to a nearby hospital for treatment. #2: A cop was killed in an attack against a police checkpoint west of Mosul. A security source told Aswat al-Iraq that "an armed group carried out an attack against a police checkpoint, which resulted in the death of one cop." #3: Security sources in Ninewa province announced that four people were injured by a grenade blast west of Mosul. The casualties were a woman, a cop and two civilians. #4: Police found the bodies of two men with bullet wounds to their heads in a car in western Mosul, 390 km (240 miles) north of Baghdad, police said. #1: An Iraqi soldier was wounded by a flashlight stuffed with explosives which he found near his checkpoint in al-Zab, an area about 35 km (20 miles) southwest of Kirkuk, police said. #1: At least three people were killed and another three were injured in a blast Thursday afternoon in the Mastung area of Quetta, capital of Balochistan Province in southwest Pakistan, reported local Urdu TV channel Geo. According to the report, the blast took place at about 13:50 p. m. local time when some unidentified miscreants threw an unknown number of handgrenades in the Mastung area of the city. Other details about the blast are not immediately available. NATO is reporting the death of an ISAF soldier from an IED attack in an undisclosed area in southern Afghanistan on Tuesday, June 21st. NATO is reporting the death of an ISAF soldier from an insurgent attack in an undisclosed area in southern Afghanistan on Wednesday, June 22nd. #1: A parked car bomb exploded near a police patrol, killing one passer-by and wounding nine other people, including three policemen, in the Ghazaliya district of western Baghdad, an Interior Ministry source said. #2: Two roadside bombs struck a convoy carrying a local police chief, wounding him and five other policemen, along with two passers-by, in the Amiriya district of western Baghdad, an Interior Ministry source said. #3: Two people were wounded by a roadside bomb in the Karrada district of central Baghdad, an Interior Ministry source said. #4: A bomb targeting a police traffic patrol wounded five people, including two traffic policemen, in the eastern Baghdad district of Zayouna, an Interior Ministry source said. #5: A roadside bomb targeting a police patrol wounded three people, including one policeman, in the southern Jadiriya district of Baghdad, an Interior Ministry source said. #6: A state bank official escaped injury when a bomb attached to his car exploded in Baghdad's northern Waziriya district, an Interior Ministry source said. #7: Five rockets were fired at a joint Iraqi-U.S. military base in the Baladiyat district of eastern Baghdad, an Interior Ministry source said. Two of the rockets hit the base and three fell outside, wounding three civilians, the source said. The U.S. military said 10 mortars were fired but none hit the base and no casualties were reported. #1: The U.S. forces in Iraq announced today that an armed group targeted Iraqi forces stationed in Betaira airport, near Amara city, with mortar shells. In a statement issued by the southern command of U.S. armed forces in Basrah, as received by Aswat al-iraq, it noted that the shells fell on the Tenth Division of the Iraqi forces stationed near the airport. The statement added that there were no casualties. #1: A roadside bomb went off after a U.S. military convoy passed by, wounding a civilian, in Samarra, 100 km (62 miles) north of Baghdad, police said. #1: The Mayor of Dibbis township in north Iraq’s Kirkuk Province has escaped an assassination attempt on Tuesday, a Kirkuk security source said. “The Mayor of Dibbis township of Kirkuk Province, Hadi Ghazi, has escaped an assassination attempt today (Tuesday), when an explosive charge stuck to his car, blew off in front of his house, causing him no harm, but damaged his car,” the security source told Aswat al-Iraq news agency. 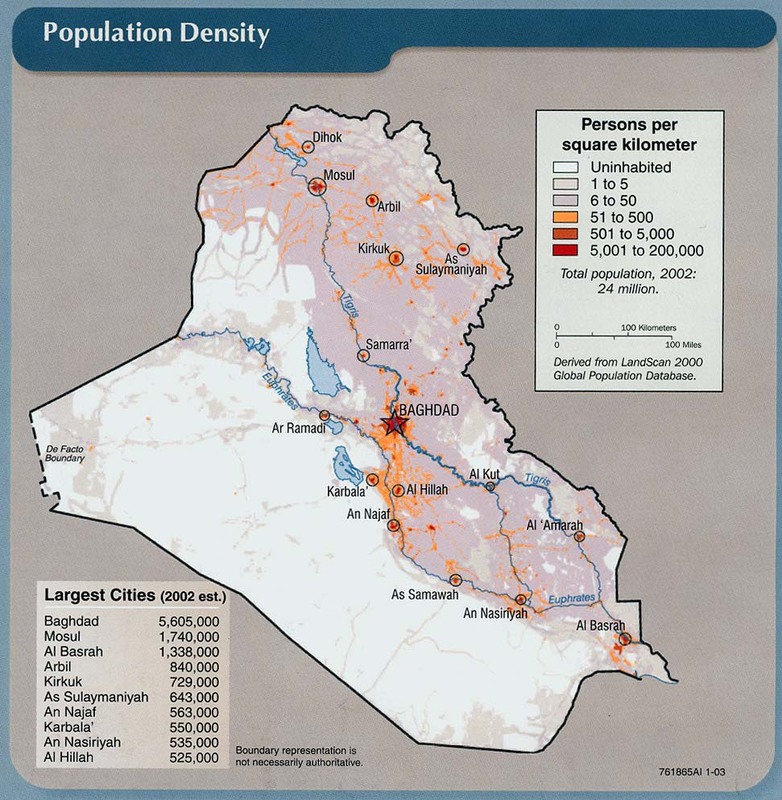 #1: A mortar round fired at the Nineveh province security operations centre missed the target and struck a house, killing one person and wounding another, in southern Mosul, 390 km (240 miles) north of Baghdad, police said. #2: Gunmen attacked a security checkpoint and killed a policeman in western Mosul, police said. #3: A roadside bomb targeting a police patrol killed one passer-by and wounded two other people, including a policeman, in central Mosul, police said. #4: Gunmen threw a hand grenade at a police patrol, wounding four people, including a policeman, in southwestern Mosul, police said. #1: Six Afghan police were killed Wednesday when Taliban attacked their checkpoint. The attack started at around 7 a.m. local time and six police officers were killed during a gunfight with the attackers," Sayed Amir Shah, the head of Afghanistan's intelligence agency in Ghazni province, told AFP. "The gunfire is still ongoing," Shah said. #2: At least one security person was killed and three others were injured Wednesday morning in a bomb attack at a checkpost in Jamrud, a main town in Pakistan's northwest tribal area of Khyber Agency, reported local Urdu TV channel Geo. According to the the report, the attack took place at about 9:00 a.m. local time when an unknown number of militants launched an attack at a checkpost in Jamrud, a city located to the eastern part of Khyber Agency which borders Afghanistan. Other details about the attack are not immediately available. #3: Earlier Wednesday morning, at about 3:00 a.m. local time, five militants were killed in an attack at a checkpost in Peshawar, the largest city in northwest Pakistan, according to local media reports. #4: A suicide bomber killed six policemen near a police post in the Qarabagh district of central Ghazni province, Ghazni police chief Zelawar Zahid said. The Taliban claimed responsibility for the attack. #5: Two insurgents were killed by Afghan and ISAF troops in the Alingar district of eastern Laghman province on Tuesday, ISAF said in a statement. NATO is reporting the death of an ISAF soldier from an insurgent attack in an undisclosed area in eastern Afghanistan on Monday, June 20th. NATO is reporting the death of another ISAF soldier from an insurgent attack in an undisclosed area in eastern Afghanistan on Monday, June 20th. #1: In Baghdad, a bomb attached to a minibus killed the driver while the bus was traveling Tuesday in the capital's western Harithiya neighbourhood, army spokesman Maj. Gen. Qassim al-Mousawi said. It was not immediately known what was the motive was behind the attack. #2: A roadside bomb killed an Iraqi solider and wounded five people, including three soldiers, in Palestine Street in northeastern Baghdad, an Interior Ministry source said. #3: Armed men in a speeding car using silenced weapons killed an Iraqi army brigadier while he was inside his car in Baghdad's northern Shaab district late on Monday, an Interior Ministry source said. An Iraqi Interior Ministry’s officer, with a lt-brigadier rank, has been assassinated by unknown gunmen in northeast Baghdad late Monday night, a security source said on Tuesday. “A group of armed men have assassinated Lt-Brigadier, Khudhier Chakhiour Kadhim, of Iraq’s Interior Ministry, when they opened fire on him from guns fixed with silencers, while driving his car in northeast Baghdad’s al-Shaab district on Monday night,” the security source told Aswat al-Iraq news agency. #4: “Two booby-trapped cars blew off against an alcohol-selling shop central Baghdad’s Karrada district and the second, also in Karrada, causing material damage, but no human casualties,” he added. #5: Two armed men have been killed and three others arrested, when they tried to launch rockets in Baghdad, a Baghdad Operations Command announced on Tuesday. “The security forces have killed 2 armed men and arrested 3 others, when they tried to launch rockets,” the security source told the semi-official al-Iraqiya TV Channel, giving no further details. #1: Suicide bombers detonated two explosives-laden vehicles early Tuesday near a government compound by a southern Iraqi governor's home, killing at least 22 people and wounding dozens, Iraqi officials said. 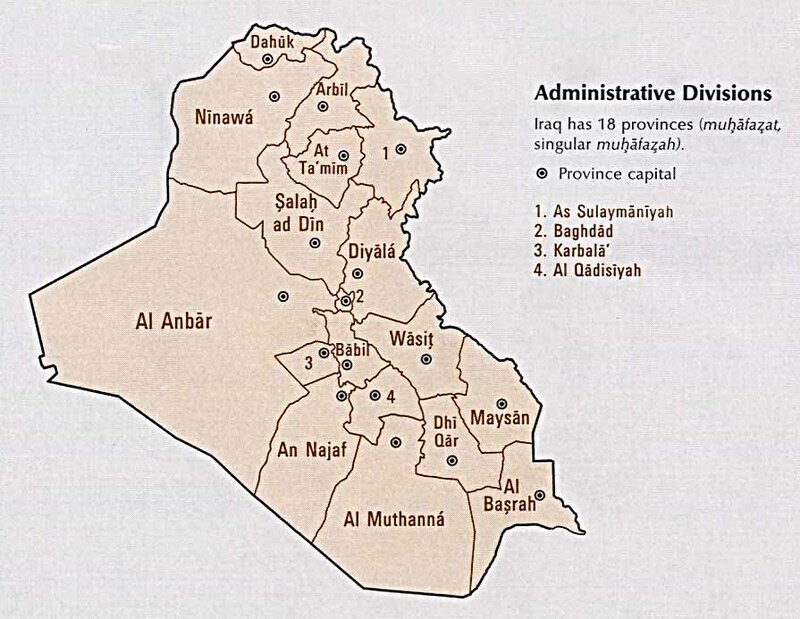 Diwaniyah Gov. Salim Hussien Alwan said he was leaving his house when a suicide bomber rammed into a police checkpoint outside his house. Minutes later, another suicide bomber attacked a compound housing the governor's office and other governmental buildings, according to a police officer and two medical officials who spoke on condition of anonymity because they are not authorized to speak to journalists. At least 37 people were wounded in the attacks which occurred at about 7:30 a.m. when security forces were changing shifts, the officials said. #1: An explosive charge was blown up against a U.S. Army patrol in southern Iraq’s Babel province on Tuesday, a Babel police source said. “An explosive charge blew off against a U.S. Army patrol, while passing through al-Shomaly township, 40 km to the south of Hilla, the center of southern Iraq’s Babel Province on Tuesday,” the security source told Aswat al-Iraq news agency. He said the American troops have cordoned the venue of the blast, shooting fire in the air, whilst losses were not known. #1: Five people were killed and nine others wounded when a bomb left in a restaurant went off in Mussayab, about 60 km (40 miles) south of Baghdad, police said. Three people were killed and seven others were wounded, including a police chief, in a bomb explosion in a town in south of Baghdad on Tuesday, a local police source told Xinhua. A bomb hidden outside a popular coffee shop in the town of al- Mussyab, some 50 km south of Baghdad, went off and killed three people and wounded seven others, the source said on condition of anonymity. Lieutenant Colonel Salman al-Kharji, police chief of the nearby town of Jbala, was among the wounded as he was inside the coffee shop, the source said. #1: A rocket fell on the building of the Province’s Council of northern Iraq’s oil-rich city of Kirkuk on Monday, causing some material damage, Kirkuk’s Koria Police Director said. “A rocket fell on a building under construction, inside Kirkuk Province’s Council headquarters, causing material damage, but no human casualties,” Lt-Brigadier, Taha Abdul-Rahman told Aswat al-Iraq news agency. #1: Two booby-trapped cars, parked in Ramadi, the center of west Iraq’s Anbar Province, were blow up by anti-explosive experts of Anbar Operations Command, causing no casualties, an Anbar security source reported on Tuesday. “A joint Iraqi Army and police force have discovered 2 booby-trapped cars, parked in central Ramadi’s al-Ziyout Street, blew them up, after failing to dismantle them,” the security source told Aswat al-Iraq news agency. He said that the place, where the two booby-trapped cars were parked, usually witnesses the movement of security patrols and motorcades of officials in central Ramadi, confirming that the explosion did not cause any human or material losses. #1: Authorities say a suicide bombing targeting a governor in northern Afghanistan has killed two people, including a 14-year-old girl. The bomber detonated a suicide vest Tuesday morning outside the office of Parwan provincial Gov. Abdul Basir Salangi as his car passed. Salangi was not injured in the attack. The Interior Ministry said two died in the attack and two were wounded. Dr. Abdul Khalil Farhangi of the provincial hospital says a 14-year-old girl walking by at the time of the attack was killed. #2: Two rockets fell near the base for South Korean aid workers and troops in Afghanistan Monday, the South Korean foreign ministry said. No casualties or property damage was reported after the rockets landed near the base in Charikar at 9:56 p.m. local time, a ministry spokesman said. #3: A suicide bomber in a vehicle blew himself up Monday night outside the house of a member of a pro-government peace body and killed four people in Peshawar, northwest Pakistan, according to police and local media reports. The attack at Matni town, some 20 kilometers from Peshawar, also injured five more people and destroyed several buildings in the area. Samaa TV reported that chief of the anti-Taliban peace militia, Ijaz Bacha, was killed in the attack. Police sources said that the bomber rammed his explosive-laden vehicle into the guest house of the head of the peace committee, who was sitting with several members of the committee. The British MoD is reporting the death of a British ISAF soldier from small arms fire/gun shot wounds in the Nahr-e Saraj (North) District, Helmand Province, Afghanistan on Saturday, June 18th. Here's the ISAF release. NATO is reporting the deaths of four ISAF soldiers from a non-combat related incident in an undisclosed location in southern Afghanistan on Saturday, June 18th. NATO is reporting the death of an ISAF soldier from an IED blast in an undisclosed area in southern Afghanistan on Monday, June 20th. #1: Seven people were wounded on Monday when a French embassy convoy was hit by a make-shift bomb in Baghdad in the second attack on the mission's vehicles in a month, an embassy official and local police said. 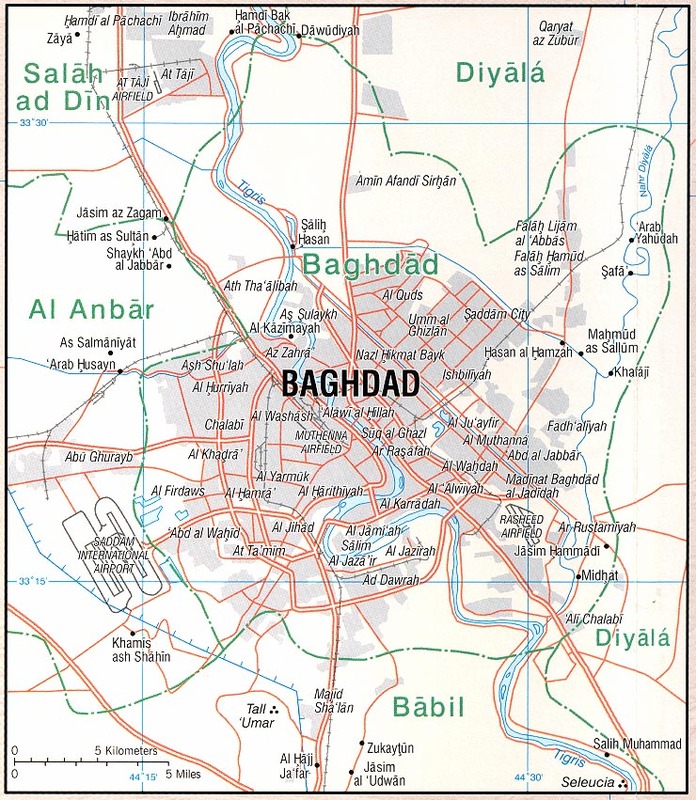 The attack in Baghdad's al-Mesbah neighborhood. Iraqi security sources said seven people were wounded in the attack, but an embassy spokesman said no French diplomatic or security personnel were hurt though one of the convoy's vehicles was badly damaged. "The bomb targeted a passing French diplomatic convoy. Four Iraqi guards protecting the convoy were hurt, and three people passing by were also wounded," an interior ministry official told AFP earlier. #2: Two roadside bombs exploded near a restaurant in southeast Baghdad, wounding two civilians. #3: A car bomb went off in northeast Baghdad. It killed one civilian and wounded four other people. #4: Another roadside bomb in southwest Baghdad targeted a police patrol. It wounded one civilian and two police officers. #5: Unknown gunment killed a police officer in southwest Baghdad. #1: Gunmen raided the house of a local council leader and killed him late on Sunday near Baquba, 65 km (40 miles) northeast of Baghdad, police said. #1: A roadside bomb went off when a civilian car carrying a family was passing by, killing two boys and wounding three from the same family late Sunday east of Mosul, 390 km (240 miles) north of Baghdad, police said. #2: Gunmen shot dead a young man in front of his house on late Sunday, in eastern Mosul, police said. #1: Suspected U.S. drones fired missiles into Pakistan's Kurram region on Monday, killing at least 11 militants, nine of them from a major Afghan militant group fighting Western forces in Afghanistan, local officials said. An intelligence official in Kurram said the four missiles fired by drones targeted two militant compounds and a vehicle in the Khardand area, a stronghold of Fazal Saeed, a local militant commander. #2: Dozens of militants have attacked the homes of two prominent anti-Taliban tribal elders close to the Afghan border, officials say. At least four were killed and four others, including one of the elders, injured in the tribal area of Mohmand. The raid on the homes of anti-Taliban elders happened in the Ziarat Masood village of Mohmand district, another area where the Taliban have been attempting to establish themselves. A group of militants stormed the village and attacked the houses of Malik Ghazi Khan and Malikh Ghulab Khan, members of a local peace committee, which oppose the Taliban, a local official told the AFP news agency. Four soldiers and 20 militants were killed in the clashes, officials say. #3: A car bomb killed one person and wounded 12 in the southwestern Baluchistan province, police said. #4: Six Afghan civilians were killed and six were injured Monday in rocket attacks in a border village between Afghanistan and Pakistan, a senior Afghan police official said. The rockets landed on a house in the remote Nari district, said General Ewaz Mohammed, the police chief of the eastern province of Kunar. 'Twelve rockets have been fired from the other side of the border,' Ewaz said without blaming a country or group for the attack. #5: Two Estonian soldiers have been wounded in seperate blasts in Afghanistan. Neither of the soldiers received fatal injuries from the blasts, which both took place in the Helmand province where Estonian soldiers are based. #6: Four Spanish soldiers and their interpreter were injured Saturday when their armoured vehicle hit an explosive device in Afghanistan, Defence Ministry sources said in Madrid, dpa reported. The five were on a reconnaissance patrol near Ludina in north-western Badghis province. Three of the victims suffered serious injuries. Two of them - a lieutenant and a female soldier - each had to have a leg amputated. Sticky bomb kills a taxi driver and injures 3 of his passengers, who are university students. This follows a spate of recent violence in the city including a deadly bomb attack yesterday. An Iraqi army officer is assassinated by gunmen using silenced weapons on Palestine St. Bomb attack on the home of the Chair of the Thi Quar provincial energy committee causes property damage but no casualties. The target, Hussein Hassab al-Awad, is a Sadrist politician. Spc. Marcos A. Cintron, 32, 1st Battalion, 7th Field Artillery Regiment, 2nd Heavy Brigade Combat Team, a native of Orlando, Fla., died Thursday in a hospital in Boston following a rocket attack on June 6 on a base in Baghdad. He is the sixth soldier to have died as a result of the incident. Jacques Clement of AFP reports on the deteriorating state of the ruins of Ur. ISAF says 8 troops died Saturday, 4 in a motor vehicle accident, but gives no further details. Three men dressed in Afghan army uniforms attack a police station near the presidential palace in Kabul. One detonates a suicide vest, the others continue the attack using automatic weapons. By the time security forces kill the remaining two attackers 2 hours later, they have killed three police officers, one intelligence agent and five civilians. TOLO news says 12 people were also injured in the incident. Meanwhile Pakistan says it launched an offensive the the Mohmand tribal area near the Afghan border, resulting in the deaths of 25 militants and 4 Pakistani soldiers. At the same time, Pakistan summoned the Afghan Charge d’Affaires Majnoon Gulab to complain about an incursion by militants into Pakistan on June 16. Afghan officials deny the incident took place. Suicide bomb attack on a German convoy in Kunduz kills 3 civilians, injures 11. "The International Monetary Fund has rejected Afghanistan’s plan to deal with a failed bank at the center of a corruption crisis, a step that has blocked tens of millions of dollars in aid and may put development projects worth billions more at risk." The Afghan government did not adequately address the funds concerns over Kabulbank, resulting in the withholding of $70 million to the Afghan Reconstruction Trust Fund. The corruption at the bank involves close associates and relatives of Hamid Karzai, and is one of several sources of strain between the U.S. and the Kabul government. Now, with the perpetrator of Sept. 11 dead and buried at sea, most of us think it's time to bring our troops home and use them and our money to rebuild our country, rather than continue our silly and unsuccessful nation-building efforts in places such as Afghanistan. Obama doesn't seem to get it, but military leaders always want more troops and more money. That's what keeps them in business. But to keep the U.S. in business, presidents should listen to the people who impartially understand the difference between war and peace, between austerity and prosperity. The British MoD is reporting the death of a British ISAF soldier from an IED blast in the Gereshk valley area, within the northern Nahr-e Saraj district, Helmand province, Afghanistan on Thursday, June 16th. Here's the ISAF release which was posted on yesterdays blog. The British MoD is reporting the death of another ISAF soldier from small arms fire somewhere in Helmand province on Thursday, June 16th. Here's the ISAF release which was also posted on yesterdays blog. The DoD is reporting the death of an ISAF Marine during combat operations somewhere in Helmand province, Afghanistan on Thursday, June 16th. NATO is reporting the death of an ISAF soldier in an undisclosed location in southern Afghanistan on Saturday, June 18th. #1: Two civilians have been killed and three others injured in a car blast in central Baghdad on Friday, a security sources said. “An explosive charge blew off under a car in central Baghdad’s Karrada district on Friday night, killing 2 civilians and wounding 3 others,” the security source told Aswat al-Iraq news agency. #1: A roadside bomb targeting an Iraqi police patrol wounded three policemen and one civilian when it went off in central Baquba, 65 km (40 miles) northeast of Baghdad, Lieutenant Colonel Ghalib al-Jubouri, a police spokesman in Diyala province, said. #1: Gunmen in a speeding car shot dead a government-backed Sunni Sahwa militia member in southern Kirkuk, 250 km (155 miles) north of Baghdad, police said. #1: An officer, with captain rank, has been killed and three policemen injured when trying to dismantle an explosive charge in west Iraq’s city of Ramadi, an Anbar police source said on Friday. “An explosive charge, planted on the roadside west of Ramadi, was blown off, while trying to dismantle it, killing an officer, with captain rank and wounding 3 policemen,” the security source told Aswat al-Iraq news agency. #1: A police officer and an eyewitness say suicide bombers have attacked a police station near the presidential palace in the heart of the Afghan capital, killing two police officers. A police officer said one suicide bomber also had been killed in the attack in Kabul that started early Saturday afternoon. The officer requested anonymity as he was not authorized to brief the media. A 32-year-old eyewitness, Mohammed Honayon, told The Associated Press the attackers were wearing Afghan army uniforms and opened fire as they tried to enter the police station. A gun battle between insurgents and security forces was still going on for control of the station. #2: At least 15 NATO fuel tankers have been torched in the latest wave of attacks by militants in conflict-riddled Afghanistan. Militants in Afghanistan targeted convoys carrying supplies to NATO troops, killing nine Afghan security guards and torching 15 fuel tankers on Saturday. Two of the attacks targeted private guards escorting supply trucks to a base for Polish troops in the eastern Ghazni province. A third attack happened along the border between Herat and Farah provinces in the west. #3: Pakistani forces killed three militants after insurgents attacked a military checkpost in the South Waziristan tribal region on the Afghan border, killing one soldier and wounding two, local intelligence officials said. #4: A roadside bomb attack on an army vehicle in the southwestern district of Panjgur near the Iran border killed a man and two children, and wounded over two dozen, four of them paramilitary soldiers, government officials said. NATO is reporting the death of an ISAF soldier from an insurgent attack in an undisclosed location in southern Afghanistan on Thursday, June 16th. NATO is reporting the death of an ISAF soldier from an unreported reason in an undisclosed location in southern Afghanistan on Thursday, June 16th. #1: A roadside bomb targeting an Iraqi federal police vehicle killed one passer-by and wounded three others, including two policemen, in Baghdad's southern Doura district, an Interior Ministry source said. #2: Armed men attacked an Iraqi army checkpoint late on Thursday, killing one soldier and wounding three others in Sadr City in northeastern Baghdad, an Interior Ministry source said. #3: An Electricity Ministry employee was wounded when armed men opened fire on his car in Sadr City late on Thursday, an Interior Ministry source said. #4: A roadside bomb wounded one policeman when it went off in Baghdad's southern Doura district late on Thursday, an Interior Ministry source said. #1: Gunmen armed with machine guns stormed the house of an Iraqi contractor killing him and his Indian maid and his Turkish engineer guest in central Hilla, 100 km (62 miles) south of Baghdad, a local police source said. #1: Seven Iranian soldiers were killed when they strayed into a minefield laid along their border with Iraq's semi-autonomous Kurdish region, a local Kurdish official said on Thursday. Jabar Yawar, spokesman for the local Iraqi Kurdish forces, said the Iranian troops were new to the area and had accidentally entered a minefield laid by Iran along the remote frontier with Kurdistan. "The newly arrived forces were unaware of the existence of a minefield where they got trapped. The mines killed all of them. There were seven of them, according to the information we have obtained," Yawar told Reuters. #1: A dead body showing signs of torture and gunshot wounds was found in the southern part of the city of Kirkuk, 250 km (155 miles) north of Baghdad, local police said. #1: Gunmen shot dead a porter in a vegetable market in western Mosul, 390 km (240 miles) north of Baghdad, a local police source said. #2: Gunmen shot dead a civilian who was standing in front of his home in eastern Mosul, a local police source said. #3: Armed men killed a civilian as he left a mosque late on Thursday in western Mosul, 390 km (240 miles) north of Baghdad, police said. #4: Armed men on foot killed a civilian near his house in western Mosul late on Thursday, local police said. #1: A bomb blast destroyed a truck carrying fuel for NATO forces in Afghanistan in the ethnic Pashtun tribal region of Khyber on the Afghan border, a local government official said. #2: Gunmen on a motorcycle killed a former Olympian boxer in a suspected sectarian attack in the southwestern Baluchistan province, police said. The deceased was a member of Muslim Shi'ite community. NATO is reporting the death of an ISAF soldier from an IED blast in an undisclosed location in southern Afghanistan on Wednesday, June 15th. #1: “Two civilians have been injured in an explosive charge blast on the main road passing through west Baghdad’s al-Alawi district, that also caused damage to a number of shops,” the security source told Aswat al-Iraq news agency. #1: Babel security police sources said today that a civilian was killed and 6 injured in a bomb blast inside a grocery store to the north of Hilla town. The source told Aswat al-Iraq that the bomb was planted in the grocery shop, in Mussaib town, 30 km north of Hilla town. #1: An armed man has been killed while trying to plant an explosive charge, targeted against the Deputy Chairman of the Support Council of Suweira township of southern Iraq’s Wassit Province, a Wassit security source said on Thursday. “An explosive charge blew off on Thursday against an armed man, who tried to plant it in front of the house of the Deputy Chairman of the Support Council of Sewiera, Adnan al-Juheishy, 135 km to the north of Kut, killing the armed man on the spot,” the security source told Aswat al-Iraq news agency. #1: U.S. army helicopter opened fire on suspected insurgents after they fired rockets on Basra airport in southern Iraq, killing a suspect and wounding two, the U.S. military said on Thursday. The incident took place early on Wednesday morning when a U.S. military base stationed in the airport came under barrage of seven 107 mm rockets, a military statement said. A Basra security source had stated for Aswat al-Iraq on Wednesday that a civilian had been killed and three others injured by U.S. forces fire that targeted them after an attack by 7 Katusha rockets on their base in Basra Airport. #1: More than 200 militants crossed into Pakistan from Afghanistan early Thursday and attacked a border village with rockets, mortars and machine guns, killing five people in the second such raid in two weeks, a government official said. The Pakistani military responded to the attack in the Bajur tribal region from a nearby base, and fighting was still ongoing as of midmorning, said Sajid Khan, a senior government official in the area. The dead included three women and two men from the village in the Manozangal area, and many others were wounded, he said. #2: A roadside bomb destroyed a tractor in southern Afghanistan, killing four civilians, a senior police official said Thursday, DPA reported. The blast occurred late Wednesday in Marof, a district in Kandahar, acting police chief, General Abdul Razaq told reporters Thursday. "A tractor carrying load and civilians drove on a roadside bomb last night. As a result, three women and a man were killed and four others including three women were wounded," Razaq said. #3: Also, Afghan forces in Kandahar's Zhari and Arghandab districts killed 11 Taliban fighters Thursday morning, including two Taliban commanders, the police chief said. Another Taliban fighter was injured in the operation, he said. #4: At least 15 people were killed as suspected US drones fired missiles in South Waziristan tribal region on Wednesday. A resident said two missiles apparently hit a sprawling compound belonging to Mullah Nazir’s group — one of the most influential militant groups involved in fighting US-led forces across the border in Afghanistan — in Wana, the main town in the region. Two missiles targeted a vehicle used by militants in the same area.